This is the kind of place you go to for your birthday in College. 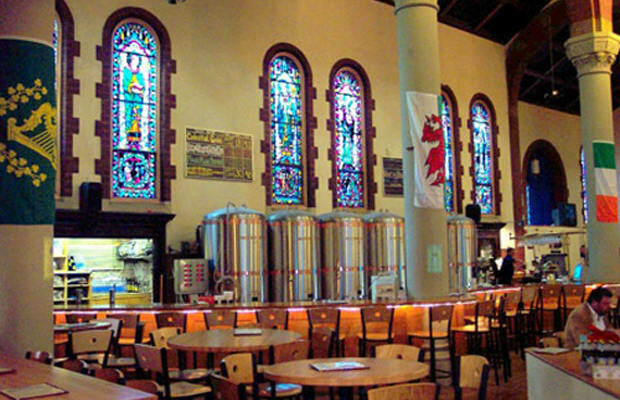 It's a converted church that they make beer in—which is about the coolest thing anyone could ever think of. At least when you're in college.